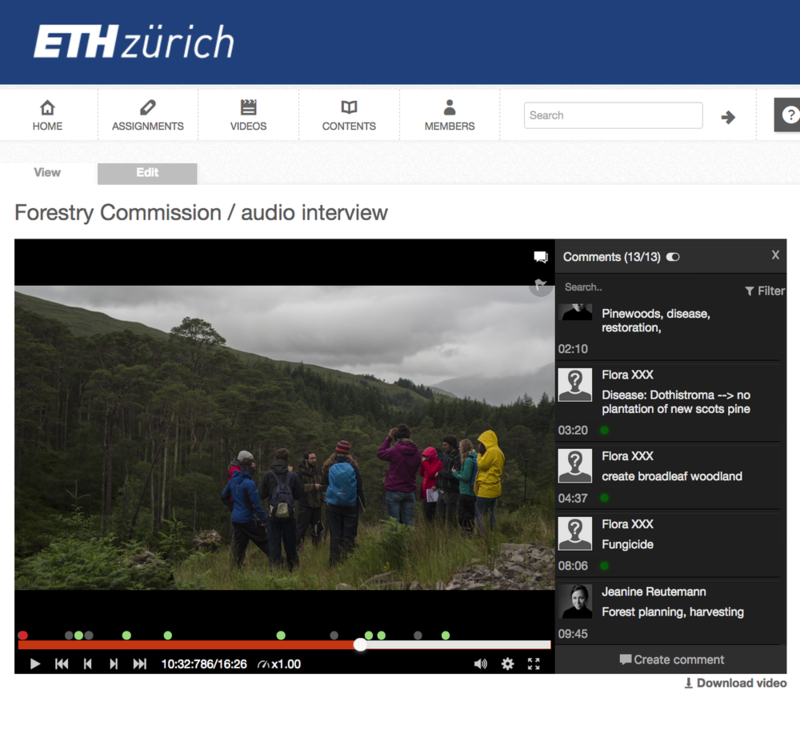 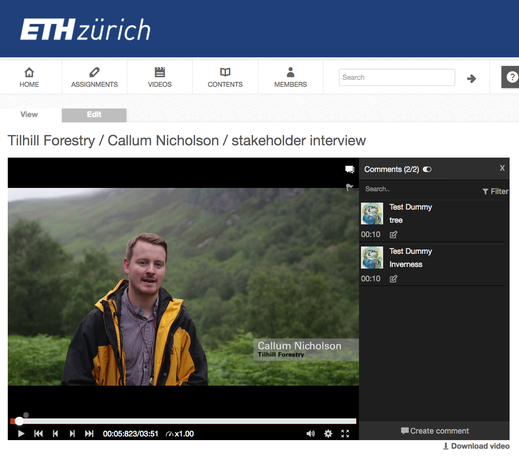 Introducing audio- and visual data for learning about conservation management: using the edubreak plattform, students can access videos about the case studies, stakeholder interviews, sonification elements of the nature, in-depth audio interviews and photomontage of the different views from the scottish highlands. 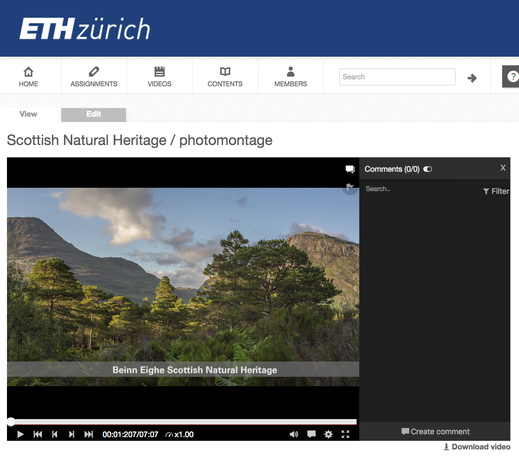 It is part of the Innovedum project: Embedding field excursions in the classroom, at ETH Zurich. 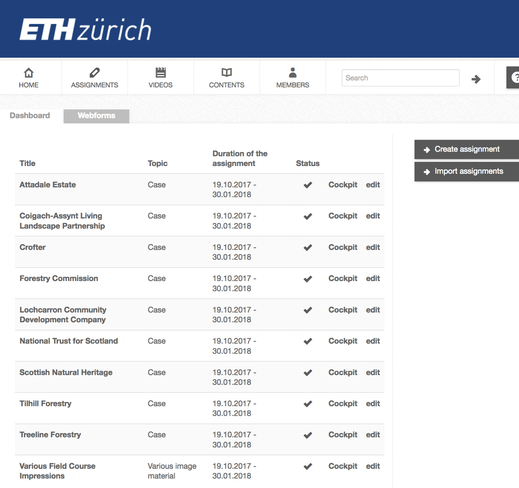 The project in cooperation with Prof. Jaboury Ghazoul, Chair of Ecosystem Managment. 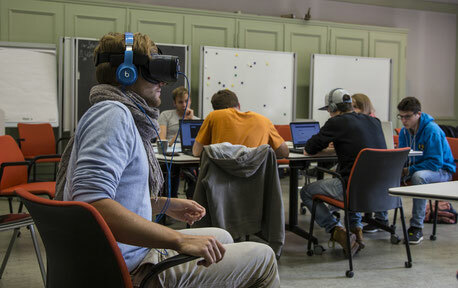 The innovative digital education project runs on the edubreak platform. 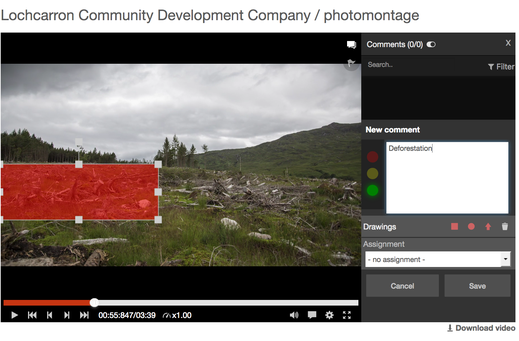 Students can directly annotate the audiovisual data. 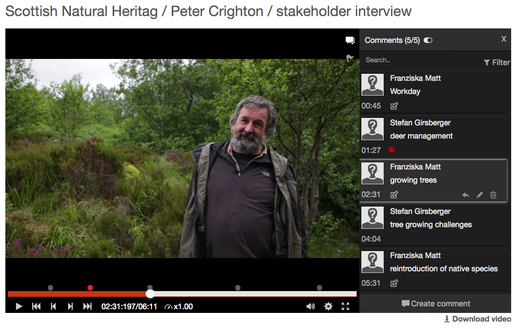 The annotation can refer either to the audio (e.g. 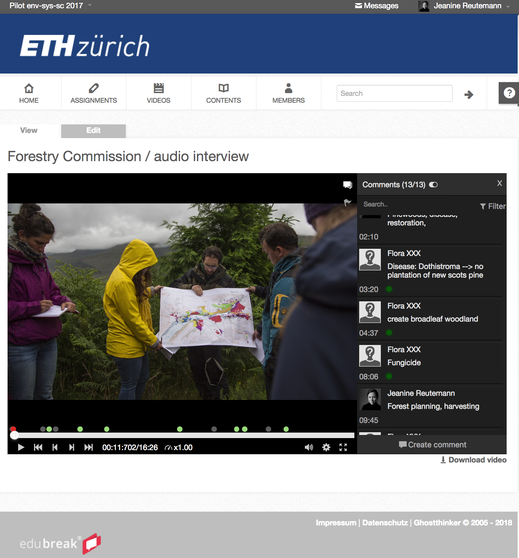 interview statement, topic issue, see image on the left) or the informations in the image (see image on the right). 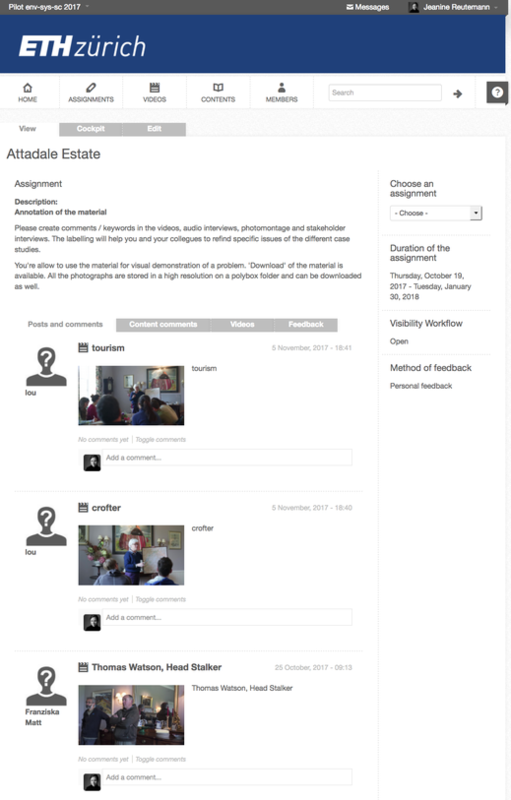 All the annotations directly get connected to the search function and are available to all the students. 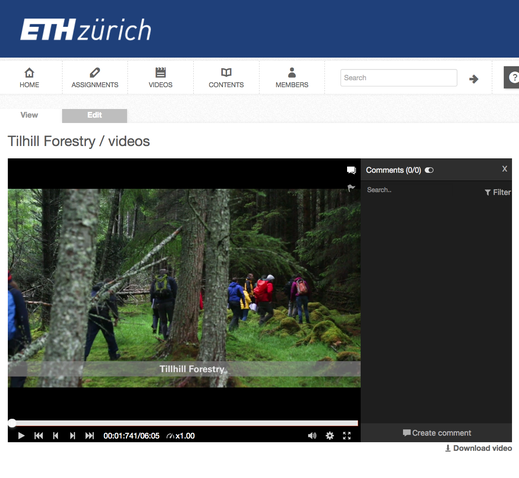 as an additional format of audiovisual data, we produced a short virtual reality 360-videos. 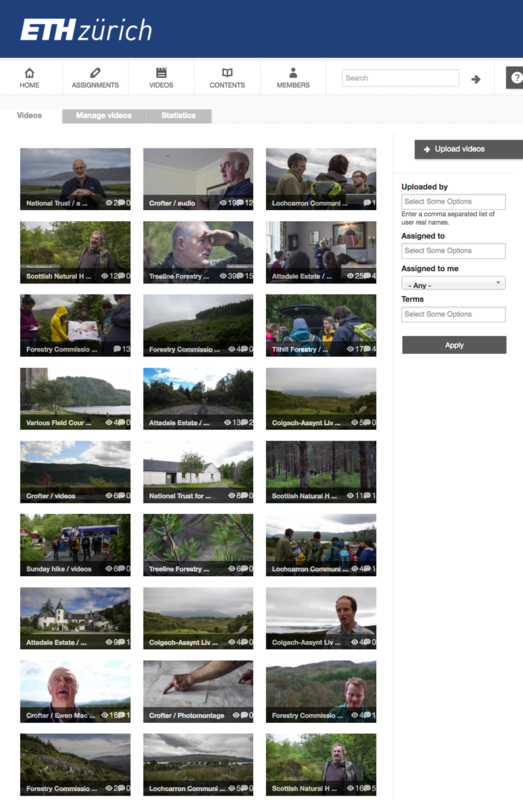 This video was used for an introduction into the different regions, ressources, landscapes of the scottish highlands.